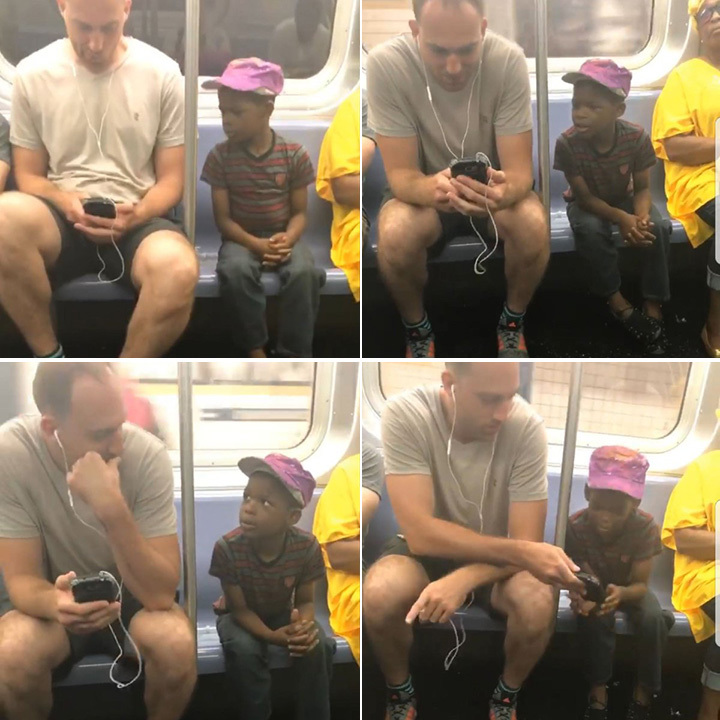 A NYC subway passenger filmed the heartwarming moment a man lent his phone to a little boy so he could play a game as they traveled together. Kia Tatiyana Davis witnessed the act of kindness and shared it on her Facebook page. “What I witnessed today on the train. I almost cried y’all,” she wrote. As soon as the man spots the little boy peeking over his shoulder, he gives him a smile before passing his phone along so the boy can play games.